For this weeks blog, I had a crazy idea, and opted to go a bit off the page. 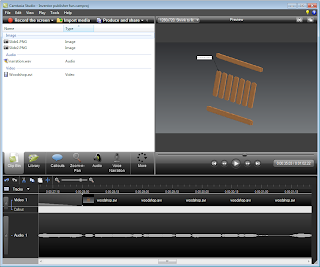 For years I've been using Camtasia Studio, by Techsmith, to create the videos you seen in so many of my blogs. Then one night, it occurred to me, and I had that moment that Gene Wilder spoke of so well. Camtasia Studio for years. Inventor Publisher can export a video format. Why not combine the two?" So I did. Here's the result. It could definitely use some polish. But for a first try, it's not too bad (at least I think). I could probably add a few more bubbles, and tweak the narration a bit more. Perhaps some of you out there in the "Cloud" can share some of your thoughts on how you might approach something similar? In any case. Here's my video. Take a look, and let me know what you think!